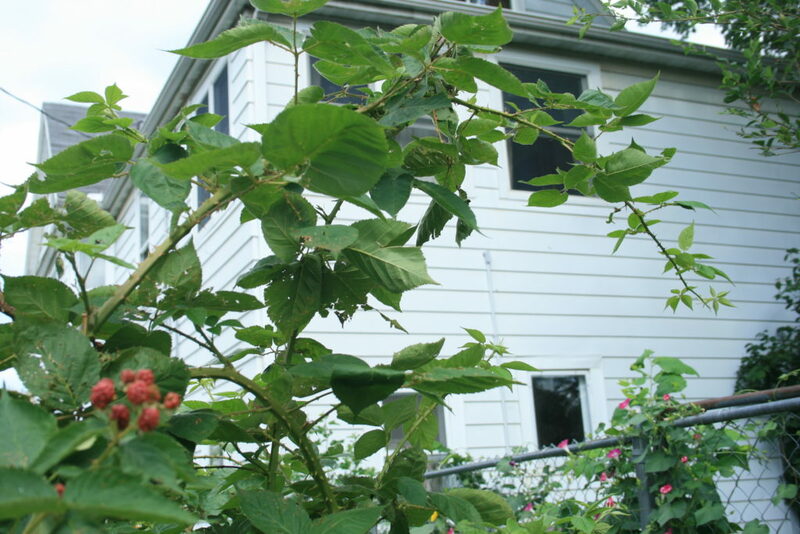 My first foray into blackberries began when we moved into our house with a side yard. This side lot had no fencing and was being used by the neighborhood as a mid-block through-way to get to the bus line on our street! With a baby on the way, there wasn’t going to be a place for this kind of traffic. I wanted our yard to be safe and enclosed, but I didn’t like the look of erecting a solid fence; I wanted a living fence. Cue nature’s barbed wire! 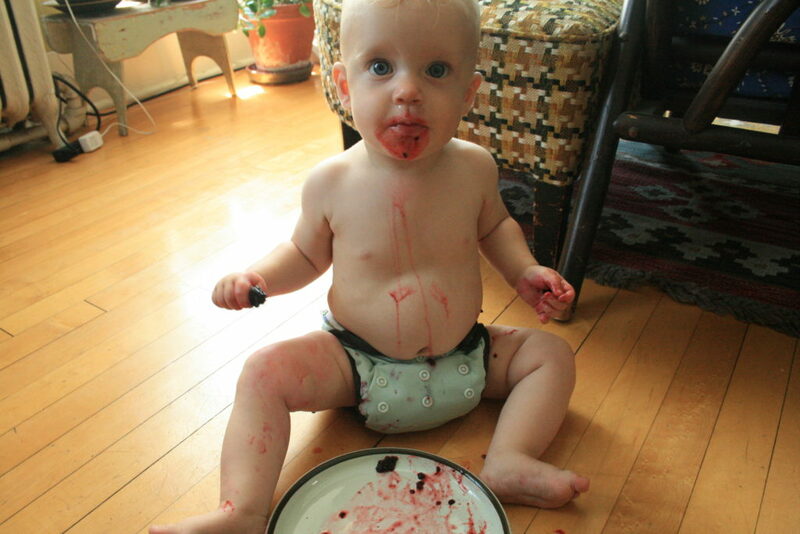 Seriously, growing blackberries is not for the faint of heart. 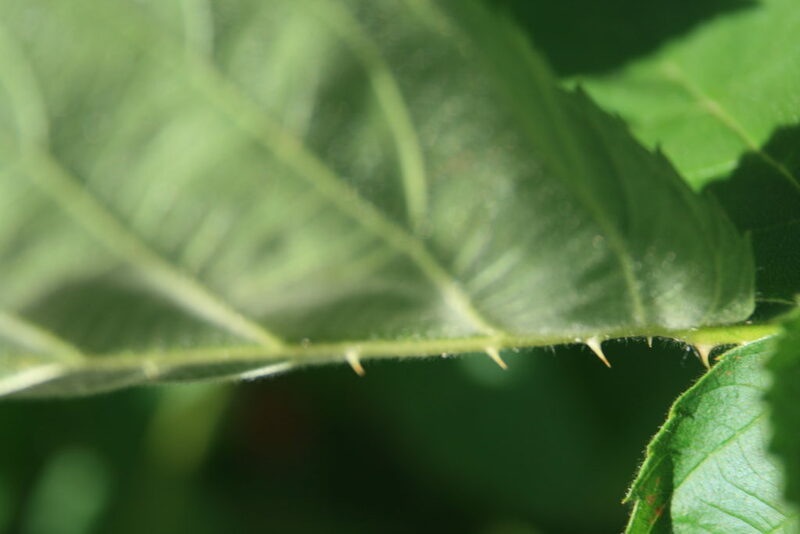 Look at the thorns even on the underside of these leaves! You have to really want that berry to reach your hand in there. 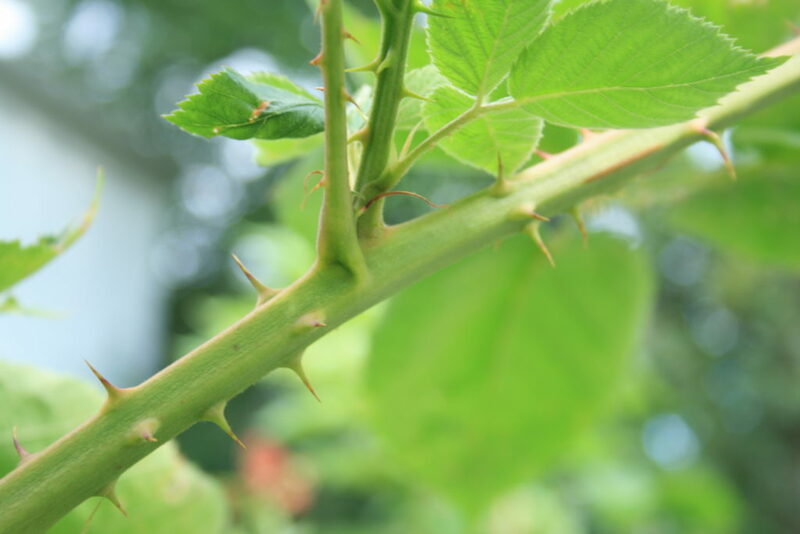 My pruning skills have not been unleashed on these beasts because I haven’t had gloves to hold up to their thorns! With new shoots threatening to invade the neighboring asparagus, and massive branches reaching feet above my head (see below), I think it’s time to order some serious gloves! What a reward for the “good little bunnies!” Each time we read this book, R begs to have this for dinner. So we did. I’d love to hear about your blackberry patch! 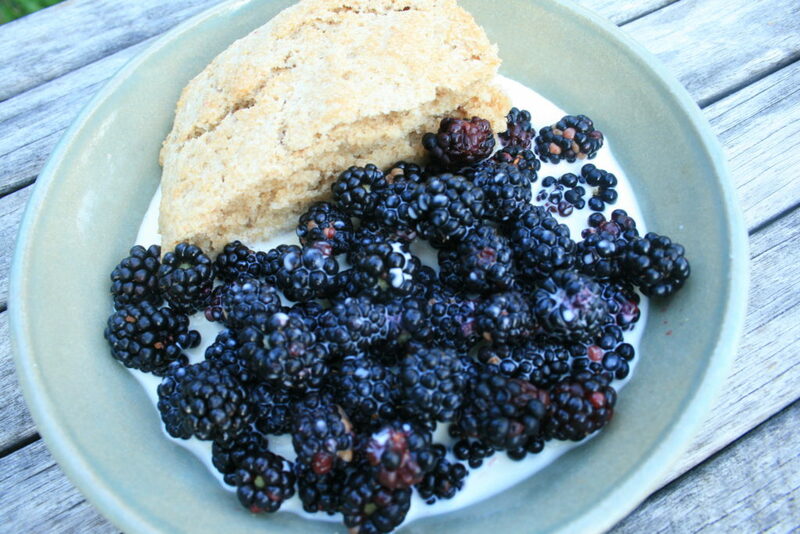 What do you like to do with your blackberries? 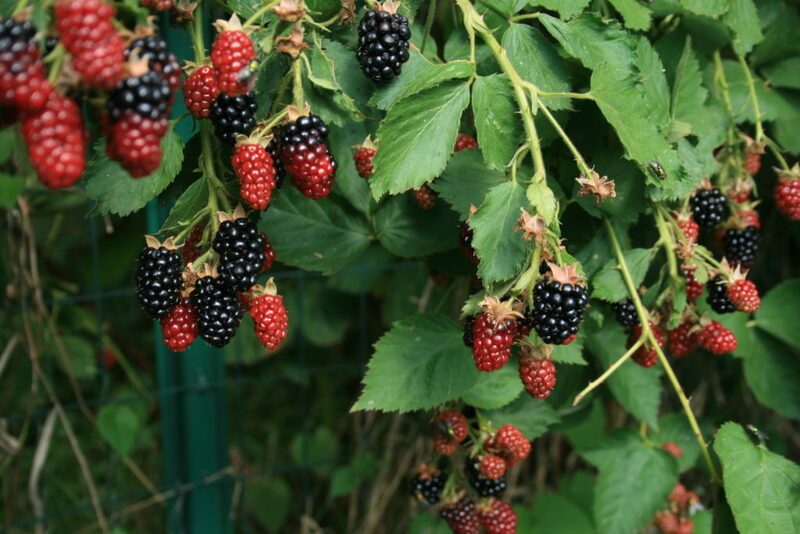 Ooh, now I want to grow blackberries, too, though BLACK RASPBERRIES are truly my favorite. 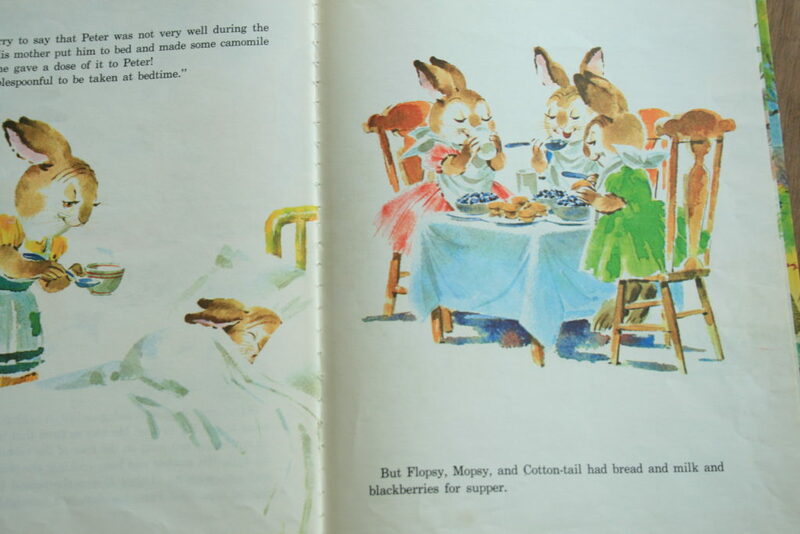 This post is making me nostalgic — I’m from Minneapolis originally, and I have that exact 1970s version of Peter Rabbit. Happy gardening! Love that book. Although I don’t have a blackberry patch as such, I do have some blackberries in the hedge at the bottom of my allotment which I think are a cultivated variety as they’re so big. They usually go in a crumble with some free windfall apples. I do love food for nothing! Tayberries are great as well if you want something with thorns! Fascinating! I had never heard of tayberries. Thanks for the tip! 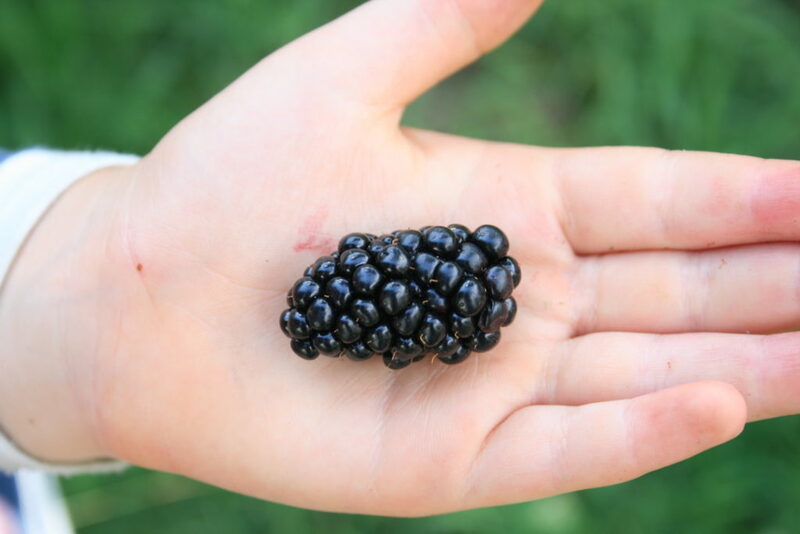 I have never tried black berry growing. You have inspired me to go find some to grow and the idea of living barb wire made me laugh out loud. Thanks for sharing.